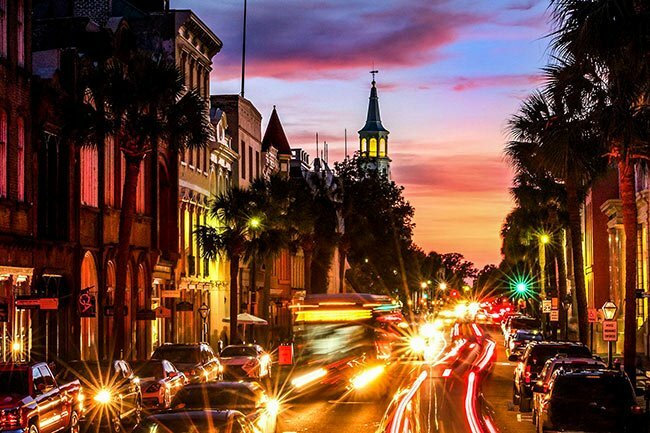 This beautiful sunset view of downtown Charleston was taken on Broad Street. Historic St Michael’s Church can be seen in the background. 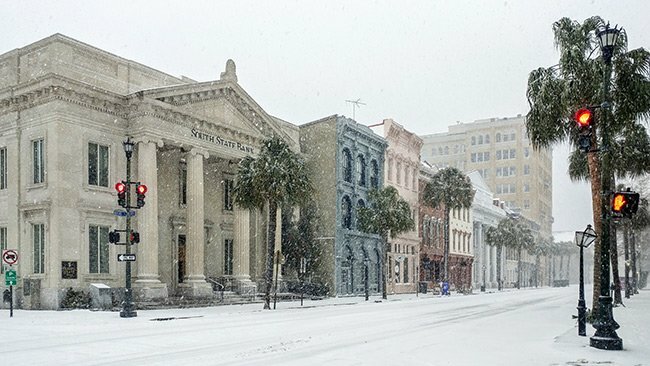 St Michael’s is the oldest church structure in Charleston. A small wooden church originally stood here in the 1680s, and was one of the first churches in the new settlement of Charles Town. About 40 years later the parish had grown too large, and a more spacious one was built down the road. The parishioners began worshiping at the new church, and the cornerstone for St Michaels church was then laid down where the old wooden one once stood. Construction on St Michael’s was completed in 1761. The church is perhaps best known for its beautiful chiming bells and 18th-century clock tower. See a video of St Michael’s chiming bells. Hi Dianne! Broad Street goes in both directions. Is Broad Street one way or two way from East Bay Street To Lockwood Drive?